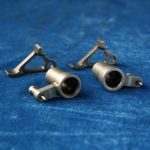 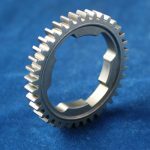 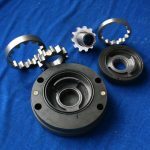 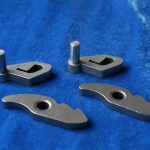 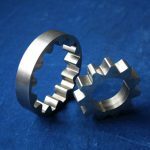 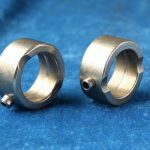 Powder Metallurgy (PM) has the capability of creating highly complex, precision parts and components that can be utilized in a variety of industrial applications. 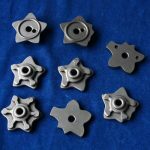 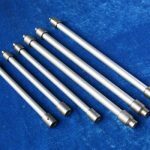 Powder metallurgy is the process of blending fine powdered materials, pressing them into a desired shape or form (compacting), and then heating the compressed material in a controlled atmosphere to bond the material (sintering). 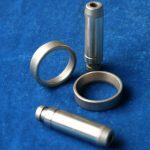 Compacting is generally performed at room temperature, and the elevated-temperature process of sintering is usually conducted at atmospheric pressure. 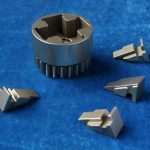 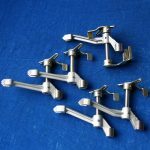 Optional secondary processing often follows to obtain special properties or enhanced precision. 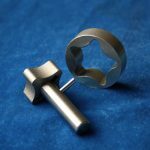 The use of powder metal technology bypasses the need to produce the resulting products by metal removal processes, thereby reducing manufacturing costs.